President Muhammadu Buhari has said he would only return to Nigeria when his London doctors certify him well enough to leave. This was contained in Buhari’s February 5 letter to the President of the Senate, Bukola Saraki, informing the National Assembly of the extension of his vacatioa. The letter obtained by Tooxpensive on Saturday reads: “Further to my letter dated 18th January 2017 in which I notified the Distinguished Senate of taking part of my annual leave. 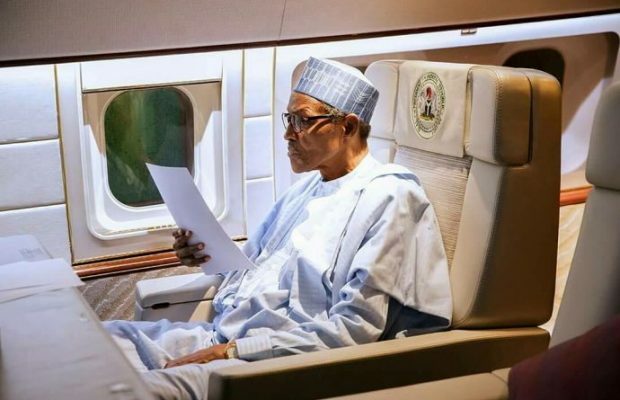 Buhari had on January 18 written the National Assembly, notifying the legislature that he was proceeding on a 10-day leave and temporarily transferring presidential power to Vice-president, Yemi Osinbajo. The leave was expected to last 10 working days, between January 23 and February 6, according to the letter transmitted to both chambers of the National Assembly. Buhari was suposed to arrive the country on February 5 for resumption of work on February 6.